Jhené Aiko Efuru Chilombo (born March 16, 1988) is an American singer–songwriter and recording artist from Los Angeles, California. She was formerly signed to T.U.G. and Epic Records, but left to continue her education. She was also well known as «Lil’ Fizz’s cousin», however, she is not related to him. It was used as a marketing tool suggested by Sony and Epic to promote her through B2K and attract audience, but they were close like family. On December 16, 2011, Aiko signed a recording contract with record producer No I.D.’s record label Artium distributed through Def Jam Recordings. She has been described as having gentle and pop-tinged vocals. Jhené Aiko was born and raised in Los Angeles, California, the daughter of Christina Yamamoto and Dr. Karamo Chilombo, a pediatrician. She has four older full-siblings named Miyoko, Jamila, Jahi, and Miyagi. She also has three half-siblings (two older and one younger) through her father’s side named Marcia, Dio, and Kareena. Her older sisters Miyoko and Jamila were in the R&B group Gyrl and toured with Immature, who were signed to MCA/Silas Records. 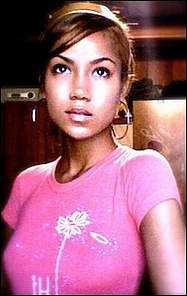 This led to Jhené’s first meeting with producer Chris Stokes when she was five years old. Eventually Stokes heard her sing. When B2K signed with Epic Records, Jhené was signed as well. She served as the opening act for B2K on the Scream Tour 3. Jhené’s made her musical beginning when she featured on several B2K releases in 2002, she featured on tracks five through eight on B2K’s B2K: The Remixes - Volume 1, «My Name Is Jhene (Intro)», «He Couldn’t Kiss (Album Version)», «Gonna Love You Anyway (Snippet)», and «Stuck Like This (Snippet)». «Santa Baby», a cover she recorded, was featured on B2K’s Santa Hooked Me Up. are sung by her. On Pandemonium!, she was featured as a guest vocalist on the song «Tease», and her song «Dog» appeared as a bonus track on B2K’s «Pandemonium». The full version of «Stuck Like This» can be heard as the final track on The Remixes - Volume 2. Jhené has appeared in numerous music videos including O’Ryan’s debut video, «Take It Slow»,B2K’s debut video Uh Huh and Why I Love You, P.Y.T.’s Same Ol’ Same Ol’ (Remix) featuring Sarai, Play’s «M.A.S.T.E.R. (Part 2)»featuring Lil’ Fizz video and Morgan Smith[disambiguation needed]’s 2004 video «Blow Ya Whistle». Jhené also has songs featured on the soundtracks of «Barbershop», «The Master of Disguise», You Got Served, «The Proud Family» and Byou. She released a video for her single NO L.O.V.E which debuted on BET 106 & Park when she was 15 years old. Jhene was set to release her self-titled debut album but the album was never released due to tension at the record label Epic, in which Aiko asked to be released from the label. Aiko then began to focus on school. Later at the age of 20, Aiko became pregnant by American R&B singer O’Ryan and gave birth on November 19, 2008. She released a mixtape on March 16, 2011 entitled Sailing Soul(s) via her official website, JheneAiko.com. All the songs on the mixtape were written by Aiko, except “July” which was written by Micah Powell and most of the songs were produced by Fisticuffs, except “July” and “You vs Them” which were produced by Bei Maejor, “Real Now” which was produced by Roosevelt, “Do Better” which was produced by J. Lbs and “Growing Apart” which was produced by Tae Beast. The album’s artwork was shot by photographer Jay 3. The mixtape also features collaborations from Miguel, Drake and Kanye West as well as others. In 2011, she also began working closely with artists from Carson-based independent record label Top Dawg Entertainment. In 2012, Aiko met with No I.D., record producer and vice president of A&R at Def Jam, who ended up signing Aiko to his Artium Records imprint through Def Jam. Aiko released the track «3:16AM» which was made available for digital download on iTunes September 4, 2012. The song was released as the first single from Souled Out. In October 2012, after performing at SOB’s in New York City, Aiko revealed to The Singers Room that she is recording a project with No I.D. and the rest of Cocaine 80s and that they would also be featured on her upcoming Def Jam debut, Souled Out: «Me and the Cocaine 80s is made up of musicians, singers and producers. I told them I wanted to be a part of the Cocaine 80s. I wanted to be the female voice of the group. They will be featured on ‘Souled Out’. Yes, we are definitely working on a mixtape or album together. That is definitely in the works. In 2012, Aiko was also the opening act on the highly-anticipated “Life Is Good/Black Rage” concert tour headlined by fellow American artists, rapper Nas and singer-songwriter Lauryn Hill. Подпишись на RSS-ленту исполнителя Jhene Aiko чтобы получать новые тексты песен и последние новости. Что вы думаете об исполнителе Jhene Aiko? Напишите ваш комментарий.